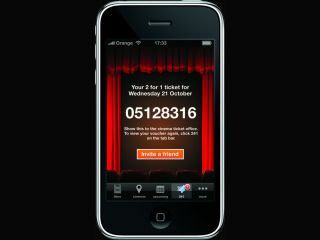 Orange has announced a new application for the iPhone that gives users access to the Orange Wednesdays service. While it's available for all iPhones and iPod touch's, the application is designed primarily for Orange customers using the forthcoming iPhone. Orange has confirmed to TechRadar that users not on the Orange network won't be able to access the popular two for one cinema ticket offer, but will be able to access key cinema-related information offered by the application. Land of the Lost, found! This means being able to see which films are out at the moment and which are coming up, as well as reading reviews, finding cinemas close to you and also getting directions from Google Maps. And those on Orange will be able to get their voucher code simply by pressing a button within the application, with a function to let you email said code to a friend (we didn't know Orange liked you doing this - we thought we were being sneaky). If this sounds like your idea of a tip-top application, then check out the video from Orange featuring a bearded Irish man, who jovially will walk you through all the key elements.